I have contributed to the field of cricket and now hope to do more for the country”, the 37-year-old cricketer said. while the Congress Central Election Committee has announced the seventh list of candidates for the ensuing elections to the Lok Sabha and the Andhra Pradesh Legislative Assembly. In Bihar, the Rashtriya Janata Dal (RJD)-Congress Mahagathbandhan (Grand Alliance) is expected to make an announcement on the pre-poll alliance today. 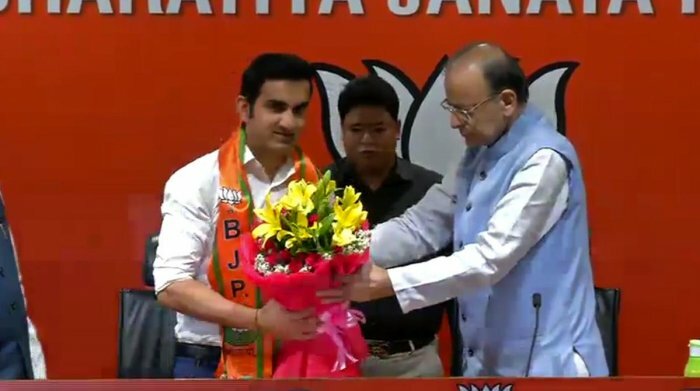 The BJP also announced on Thursday evening its first list of candidates for Lok Sabha elections that begin next month. Prime Minister Narendra Modi will contest from Varanasi in Uttar Pradesh, the parliamentary seat he retained after winning two seats in the 2014 election while BJP president Amit Shah will fight from Gandhinagar in his home town Gujarat; a seat where BJP veteran LK Advani is the sitting lawmaker.